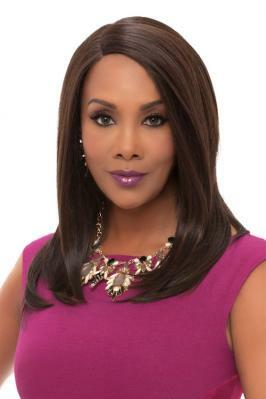 Jill by Vivica A Fox Wigs - a 19 inch layered straight style with side L part and feather tip at the end. Its high heat resistant fiber not only curls well, but also keeps the curl longer to keep the hair look beautiful. It is featured with Deeep lace front and Yaki texture which will enhance the natural look of yours when you wear the wig. It is one of Vivica's best-selling wigs. This look never goes out of style!